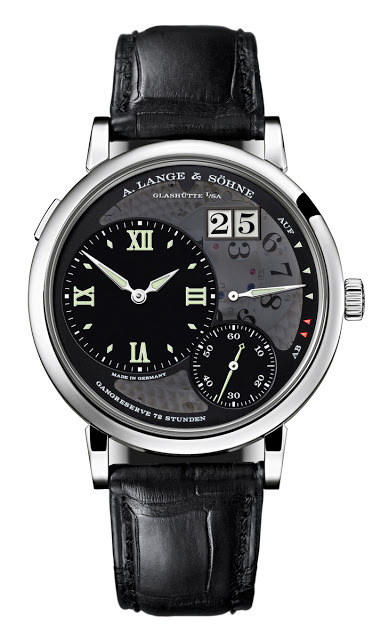 The first of Lange’s new collection which will be presented at SIHH 2013 has just been unveiled. 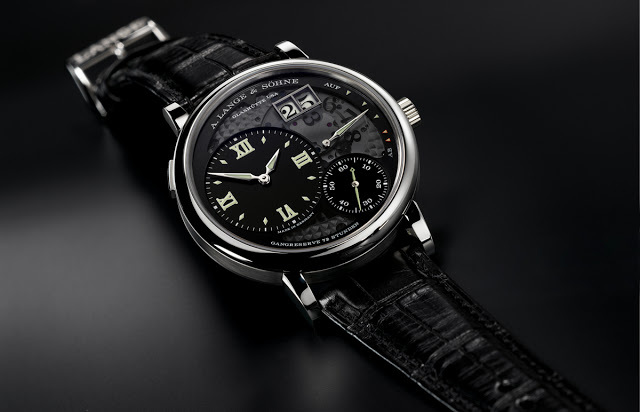 Obviously taking inspiration from the successful Zeitwerk Luminous “Phantom”, the Grand Lange 1 “Lumen” features a tinted sapphire dial, revealing the trademark Lange oversized date mechanism. 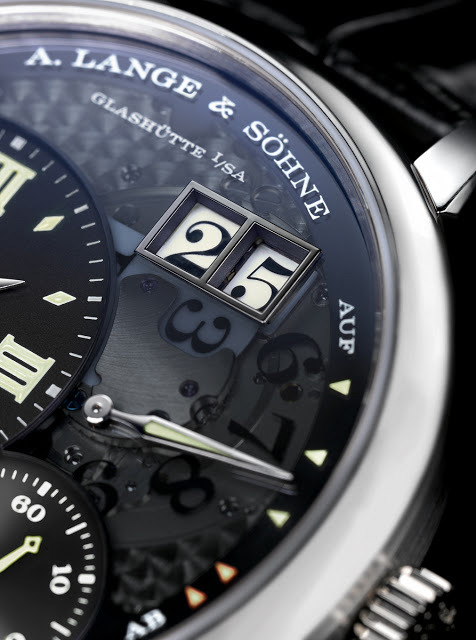 Because the dial is transparent, the date mechanism is now luminous, and it glows through the tinted sapphire dial. 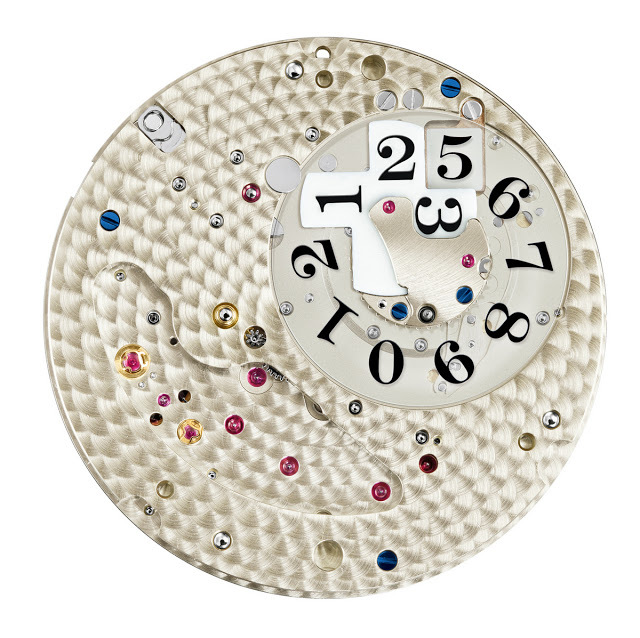 The cross-shaped disc for the tens digit of the date is coated in white luminous material, while the circular disc for the units disc is clear sapphire with the date numeral printed. That allows the luminousity of the tens disc to glow through the sapphire units disc. 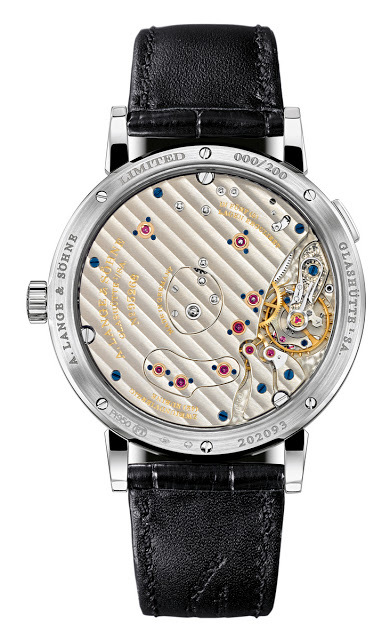 Besides the date discs, the sapphire dial also reveals the carefully applied perlage of the base plate. 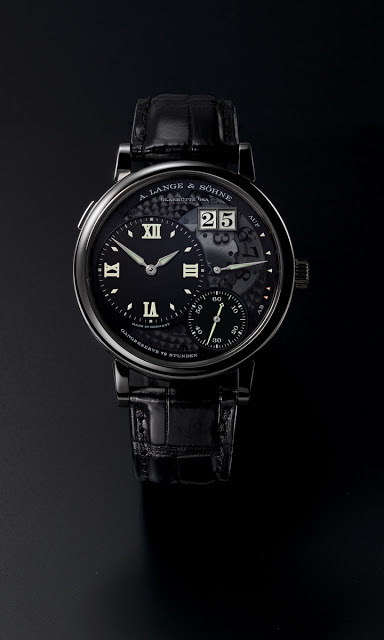 The rest of the dial – the hours and minutes, the seconds and the chapter ring – are made of blackened silver. Naturally, the hands as well as the power reserve also glow in the dark.